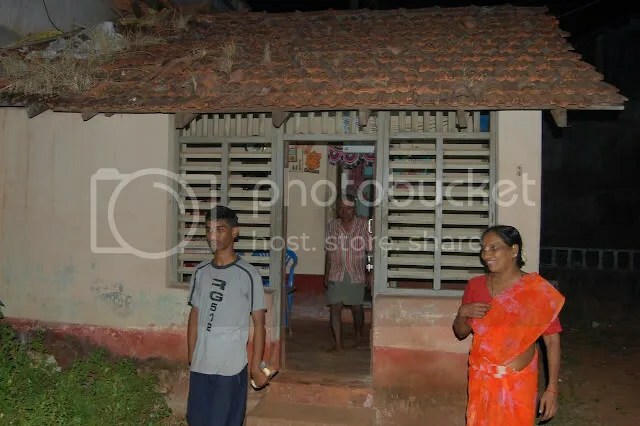 We supported the boy, shown here with his parents outside their home. He was in the 10th Std and in the recent State Board Exams scored greater than 90%! Ecstatic to think that we may have played a miniscule role in his academic success! We supported the girl; this was their front room/living room/bedroom and the kids studied on the bed. Behind was a smaller kitchen/dining area. She came from a family of traditional fisher folks. We supported the boy. As discussed in Where are all the needy girls? 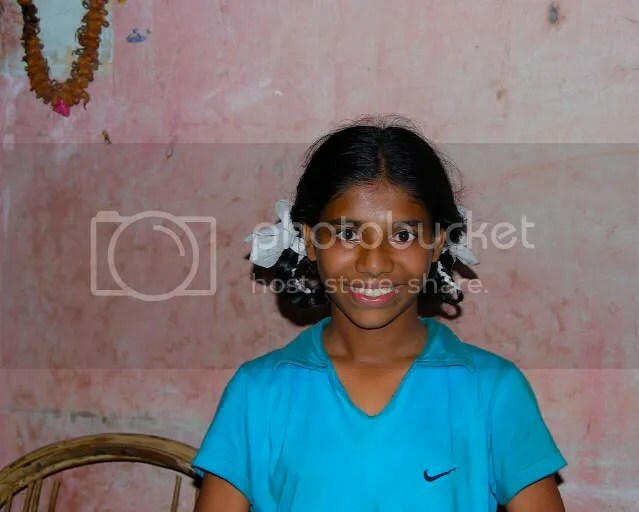 the sister in 4th grade was enrolled in the Kannada language school. 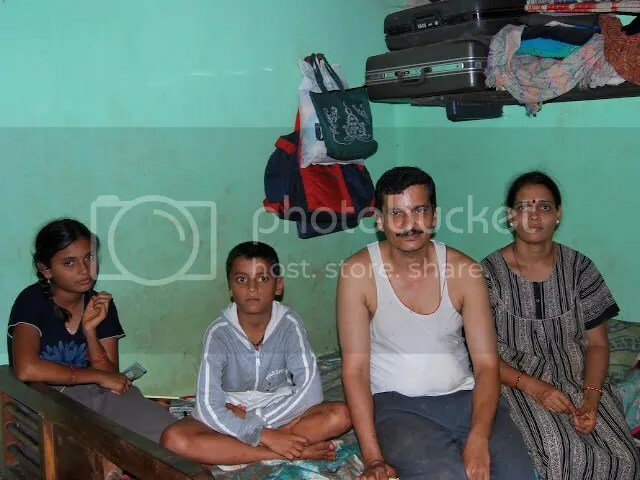 She wanted to be in the Shanbhag School with her brother but unaffordable. On hearing this, I asked her mother (father is no more) to enroll her in our school for the next year. 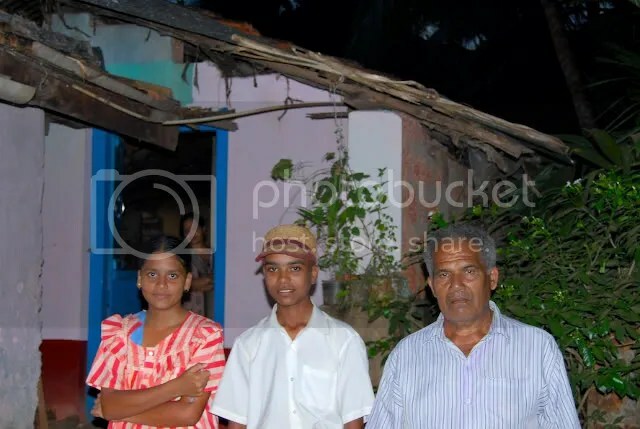 When I visited Kumta last month, we got the girl enrolled with a full scholarship! Yaay! You can see the kitchen and dining area in the back. 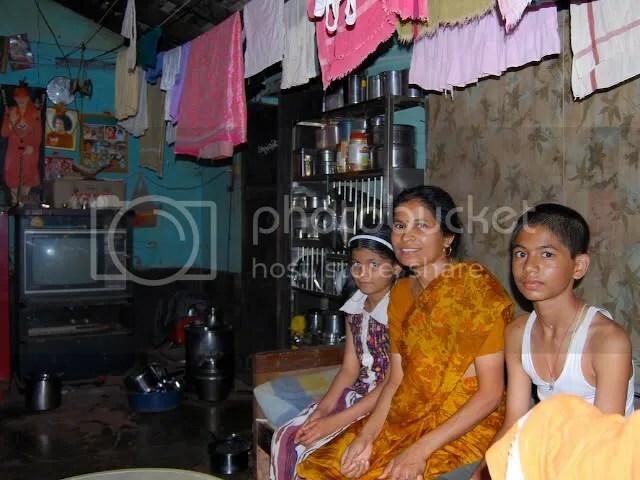 As traditional families do, they sit on the floor to eat. We are supporting the boy. 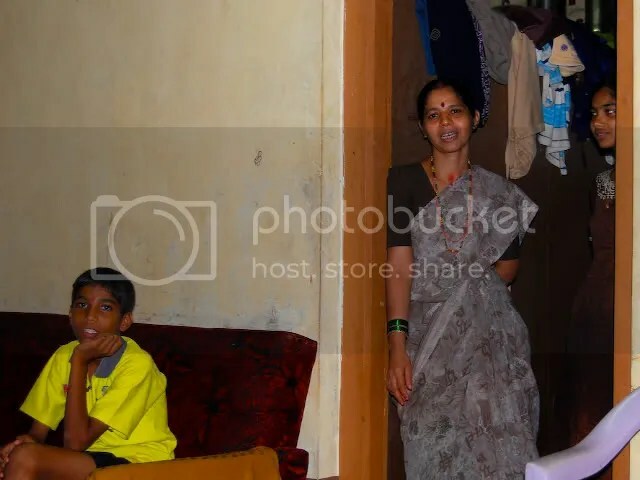 You see one of several sisters in the background, who have all graduated from the Kannada language school. With limited professional or career options, they work as cooks and serve meals to students in a part of their house. We are supporting one of these delightful twins, seen here drawing and finishing their home work. During this recent visit to Kumta, I developed contacts with other schools in town and provided scholarships for their students. More on those at another time. 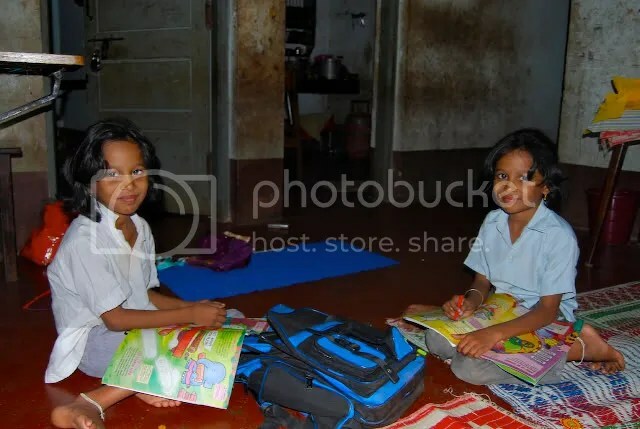 If you are interested in helping children get an outstanding education, see what we have started at Shikshan.org; and particularly, How to Help!